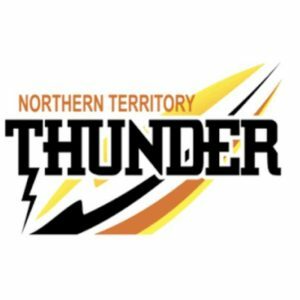 TIWI Bombers’ fantastic form continued on the weekend with a thrilling one-point victory over premiership favourites Nightcliff, while Darwin will be ruing a loss to bottom two side, St Marys. In other results, Waratah breathed a sigh of relief by overcoming cellar dwellers Wanderers, while Southern Districts got the job done against Palmerston Magpies in the final game of the round. Darwin: H. Ahmat-Watkins 2, J. Clarke, T. Clarke, F. Bruce, S. Anderson, D. Paull, Z. Stephenson, D. Stafford. A best on ground performance from Saints’ star, Nathaniel Paredes has kept St Marys’ slim finals hopes alive. The talented midfielder booted a game-high five goals in the 37-point win, as his side booted an impressive 11 goals to two after half-time to run away with the contest. Mathias Liddy and Luke Stapleton booted three goals apiece, with the latter also among the best, as was Nicholas Yarran and Leonard Ferreira. For Darwin, Hassan Ahmat-Watkins slotted two goals, while Patrick Boles and Joe Anderson was the Buffaloes’ best in the victory. Waratah: C. Barrett 2, S. Weddell 2, K. Kantilla 2, M. Blake, D. Simpson, J. Wray. Waratah kept its finals hopes strong with an important nine-point win over a plucky Wanderers outfit. The Warriors trailed at times throughout the first half and were level at the final break, before booting the only goal of the final term to secure the narrow victory. 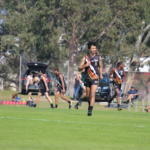 Sam Weddell, Cameron Barrett and Kim Kantilla all booted two goals, while Abraham Ankers was named best on ground in the victory. Thomas Toma and Jordie McKenzie were also among Waratah’s best in the win. The loss ruled the Eagles out of a late finals run and will be hoping to just finish the season off on a high in the last few rounds. Nightcliff: B. Grewar 2, J. Butcher 2, T. Melville 2, B. Black, L. Holt-Fitz, S. Wilson, D. Butcher. Tiwi: R. Tungatalum 3, S. Munkara 3, C. Burgess, J. Munkara, M. Cooper, D. Munkara, N. Djerrkura. Tiwi Bombers’ giant-killing run continued on the weekend, knocking off Nightcliff by a solitary point after dismantling Southern Districts last week, to sit in fourth spot. It was the Tigers’ turn to feel the Bombers’ wrath in a tight contest. Bombers’ star, Ross Tungatalum booted three goals in the win – including the game winner – as did Simon Munkara. 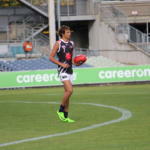 Ashton Hams‘ ripping form of late continued with another best on ground performance, while Nathan Djerrkura and Jason Puruntatameri were among the best for the Bombers. Blake Grewar, John Butcher and Trent Melville all booted multiple goals for the losing side, while Simon Deery was deemed the ladder leaders’ top player on the day. Palmerston: I. Milera 2, K. Emery 2, M. Perry, J. Lampton, J. Wunungmurra, M. McMasters, J. Thompson. Southern Districts: B. Schwarze 3, E. Barlow 3, J. Brennan 2, J. Farrer 2, L. Ogden 2, B. Vallance, M. Duffy, J. Koopman, M. Mummery. Southern Districts booked itself a place in the top two after a big win over finals hopefuls, Palmerston Magpies on Monday. The Crocs seized the opportunity of a Nightcliff loss to keep in touch with top spot, and the nine-goal win helped them snap a run which saw them lose to both Darwin and Tiwi Bombers. Beau Schwarze was again a key up forward booting three goals, as did Ed Barlow, while former Brisbane excitement machine, Jared Brennan also slotted multiple goals. Josiah Farrer was named best on ground for his two-goal effort, while Sebastion Guilhaus and Rory O’Brien were also impressive in the win. Jamanie Wunugmurra was a shining light for the Magpies, while Palmerston’s goalkicking machine, Kyle Emery booted two goals, as did Ian Milera.